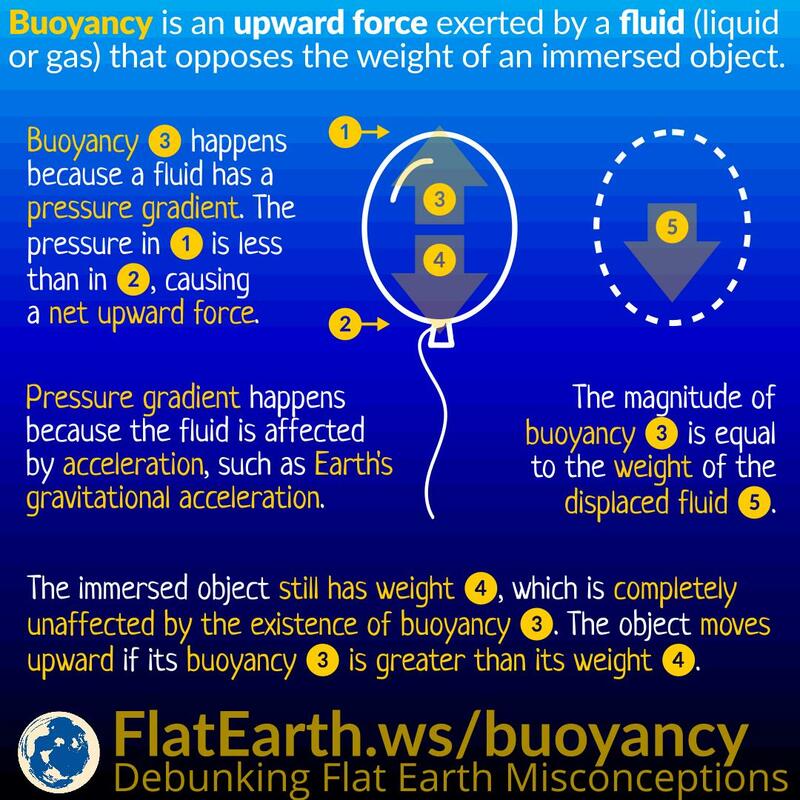 Buoyancy is an upward force exerted by a fluid (liquid or gas) that opposes the weight of an immersed object. Buoyancy happens because the fluid has a pressure gradient. Pressure gradient occurs because the fluid is affected by acceleration, such as the Earth’s gravitational acceleration. Flat-Earthers makes buoyancy as an “explanations” on how things fall. They are wrong. Without Earth’s gravitational acceleration, buoyancy will not occur. An immersed object displace the fluid by an equal volume. The magnitude of buoyancy is equal to the weight of the displaced fluid. By extension, we can also say buoyancy is the force of gravity of the surrounding fluid trying to displace the immersed object upwards. The immersed object still retains its weight, which is entirely unaffected by the presence of buoyancy. A submerged object feel lighter not because its weight diminishes, but because there’s now an upward force we call buoyancy. The object is accelerated upward if its buoyancy is greater than its weight. An immersed object with lower density than the fluid around it will rise upward because it will generate a greater buoyancy than its weight. However, we cannot say density alone causes it. 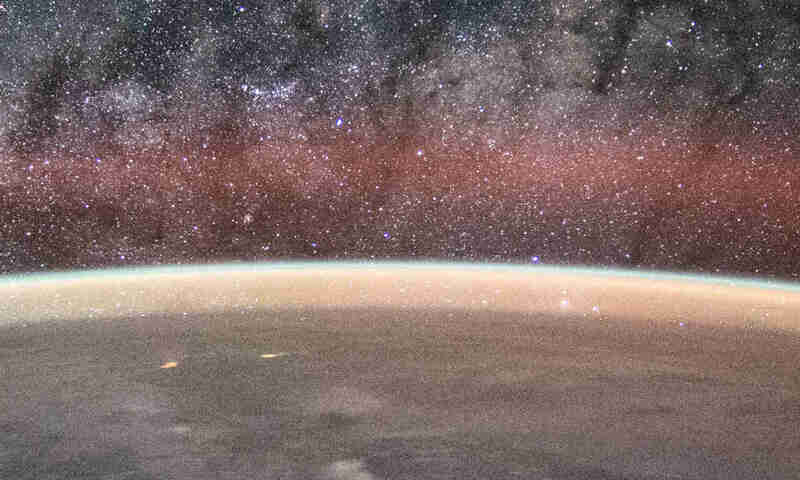 Without the presence of an acceleration —like Earth’s gravitational acceleration—, buoyancy will not occur. Without factoring in the acceleration, we can only know if it rises or sinks, but cannot determine how fast it will rise or sink. Moreover, if a force other than weight & buoyancy is present, we cannot predict how the object will behave without factoring in the acceleration.